The main focus of social media marketing is concentrated within the social media platforms. When marketers operate social media campaigns, they operate inside Facebook, Twitter, Google+, etc. The content is placed inside these networks. In contrast, the focus of content marketing is to publish content to the business website and then publicize it through various social media platforms. Social media is used extensively to share the links of content published. The content can be blog posts, infographics, videos etc. Social media content is created for the specific social platform intended to publish the same. Twitter uses short tweets with 140 characters, Facebook uses media like videos and images along with short texts, Instagram uses images and tiny videos etc. Brands model their behaviour based on the users of the social platforms. In content marketing the context of website allows longer forms of content. Brands can publish blog posts, release a case study, videos, infographics and ebooks. Brands model their behaviour based on the media publishers. Although the two are different forms of marketing a brand/service both differ in their objectives. Social media is primarily used for brand building, awareness, consumer interaction, feedbacks, promotions and lead generation. Social media is an open house where consumers can start a discussion on the brand and services. Hence, SMM is very important to build customer loyalty. Content marketing on the other hand focus on demand generation. Quality content brings a prospect to the website. Content marketing focuses to develop on that relationship to convert the leads to purchase. Good content marketing focuses on the entirety of the brand’s site. A company with poor content strategy will struggle to force a positive purchase decision. Brands go online and with such competition purchase decisions are vastly influenced by content. Social media marketing is a relatively old term and is practiced by most of the companies. Content marketing on the other hand is a new practice for many. The importance of content marketing rose after the smart device explosion. A brand with no website (but only with all social media accounts) will find it hard to gain consumer trust. A web domain generates trust in the consumer and strategically formed content strengthens the trust in their mind. Social media marketing is the first step of the process which involves brand building as it accesses the users directly. As the brand becomes more familiar the natural progression will be to move toward content marketing. Brands can engage deep with their customers through content marketing efforts, and the results are more powerful as it drives consumers to its website as the brand has a greater opportunity to gain leads and move them down the conversion funnel. If you are a business owner you should be investing in content marketing. Powerful content is a better way to market your products/services and a far cheaper method than any other forms of marketing. Content marketing alone can bring three times the number of leads other marketing techniques generate. Assuming that the marketing strategy is already taken care of, the next issue is to produce high quality creatively compelling content. Content can be created in-house or can be outsourced to a content creation agency. Both practices have its benefits and drawbacks. Let’s have a look at the advantages of outsourcing content creation. Outsourcing content creation to a content writing service agency can save a lot of money for your company. When you outsource the job, you can avoid unnecessary hiring and training expenses for the same. The same amount can be utilized on other important projects and business objectives. Good content writing services use top class writers who are experts in the field. By outsourcing the job to them you can reap on their knowledge and experience in writing. A well written blog or article will definitely build your company’s brand identity. Outsourcing content creation can significantly improve your content marketing strategy (and develop a new one if you don’t have one yet). Since the content creation agency is into the field for long, they will be well versed with the market and the techniques which work out and which are not. A good content writing service will know how to write effectively to market your products, which platforms/tools are effective for marketing and will be masters in analysis of data and strategizing accordingly for your business. Developing content include tedious research and refinement process along with multiple revisions and edits. Since content creation agencies allot dedicated human power for your job, work will be completed on time. However, if the same is implemented in-house, overall work efficiency will decrease as employees have the additional responsibility of content creation and publishing. Writing engaging and compelling content which are optimized for the search engines leads to more leads. Content written by professional writers will be optimized for the web. These content are keyword heavy and written for both machine and human in mind, for maximum reach and shareability. Many content writing services also help you with Social Media Marketing, Search Engine Optimization, Infographics & Explainer Video Creation etc. This way you gain a trustworthy marketing strategist and you may partner with them for longer periods to develop your business using the promotions, campaigns and strategies run by them. Tying up with such a company can also help your content to reach further and bring you better conversions, which are 10 times more effective than doing the same in-house. Quality content is King. 67% of consumers say custom created content helps them make better purchasing decisions. Content marketing is also way too cost efficient when comparing its return. With the immense opportunities and windows open to us through the way of social media, companies that share content regularly imprints into consumers’ brain better than the others. 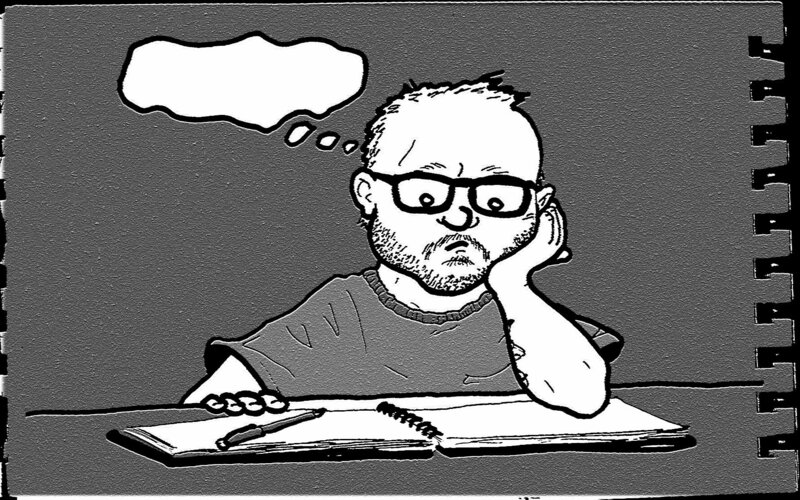 Many a time, brilliant thoughts crop up in your head but you are unable to pen them down at that very moment as you are caught up with something else. If you go through this, then you are not alone in this world. In fact, almost nine out of ten writers struggle with this problem. The cause of this problem includes factors like time constraint, lack of discipline, etc.